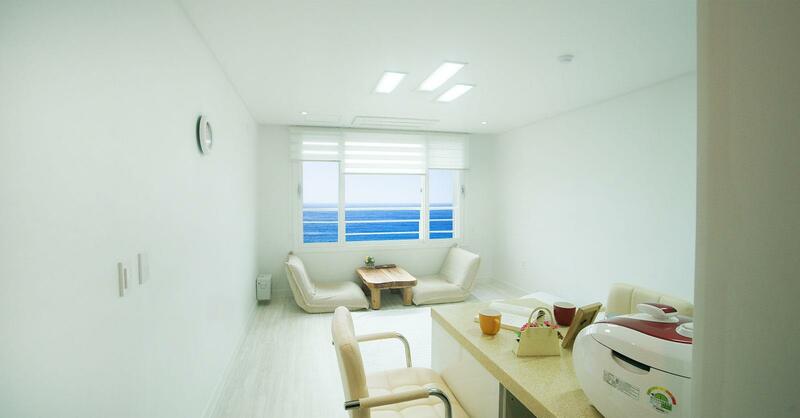 ﻿ Jeju Saint House Resort, Jeju Island - SAVE ON AGODA! "Nice clean and spacious hotel." Have a question for Jeju Saint House Resort? Well-placed in the beaches, family fun, sightseeing area of Jeju Island city, Jeju Saint House Resort provides a most conducive spot for you to take a break from your busy days. From here, guests can enjoy easy access to all that the lively city has to offer. With its convenient location, the hotel offers easy access to the city's must-see destinations. 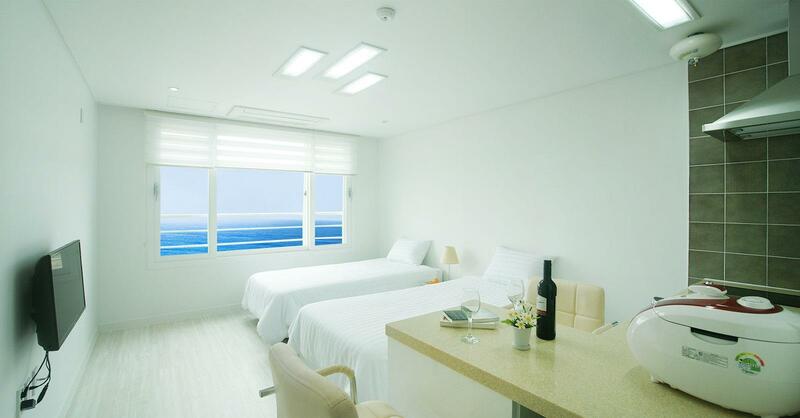 Jeju Saint House Resort also offers many facilities to enrich your stay in Jeju Island. 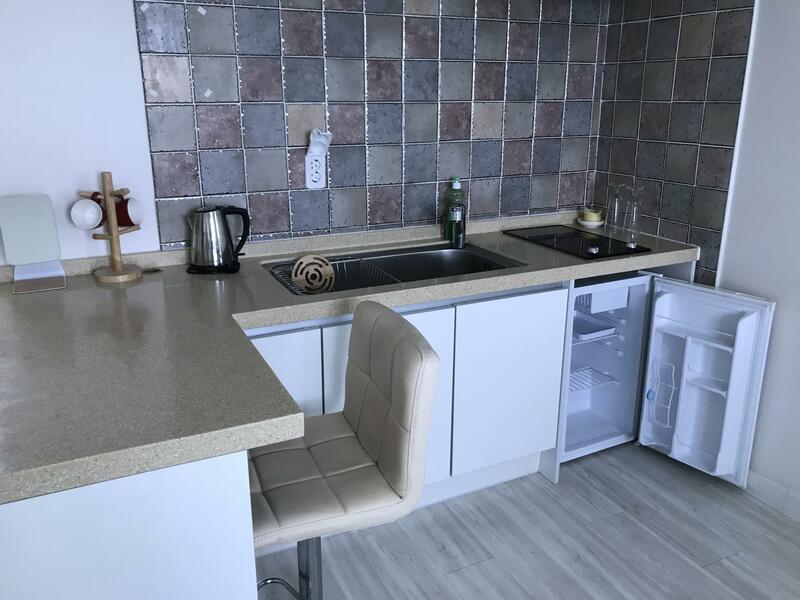 To name a few of the hotel's facilities, there are free Wi-Fi in all rooms, taxi service, wheelchair accessible, Wi-Fi in public areas, car park. 21 rooms spread over 5 floors provide a warm and pleasant home away from home. Modern comforts such as television LCD/plasma screen, internet access – wireless, internet access – wireless (complimentary), non smoking rooms, air conditioning can be found in selected rooms. The hotel offers fantastic facilities, including private beach, golf course (within 3 km), fishing, garden, to help you unwind after an action-packed day in the city. 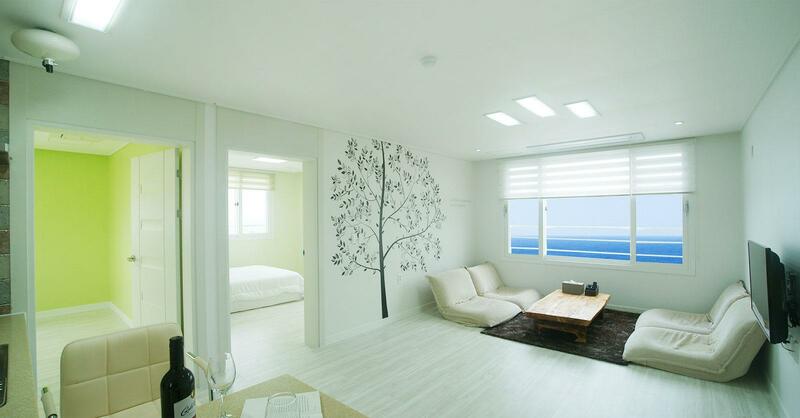 Enjoy unparalleled services and a truly prestigious address at the Jeju Saint House Resort. Nice clean and spacious hotel. Near to the beach and windy during the night. Quiet place as it's off the mega resort, but convenient with a car. We were driving but the number was not on the car gps. We found it through our phone gps. The place is quiet and the view beside is quite nice. Room is clean and some kitchen wares are provided. i would like to recommend this accommodation. i stayed this resort for 4 days 3 nights. employee is very kind, and my room is very clean and good atmosphere. but we need to rent car to visit this resort. The stay is quite fine but getting there is troublesome. It's quite out of the way if you do not drive or do not know the way to get back. Breakfast only providing you bread and jam, fruits, grape juice and milk. It was good. They provide free bicycle hire so we cycled around. Quite a new building, clean, comfortable. Its a bit out of nowhere but quite. 좀 깊이 들어가야 해서 위치는 그리 좋다고 할 수는 없지만 친절하시고, 괜찮습니다. 다른곳보다 월등히 저렴하고 사장님도 친절하고 주방까지있는 깨끗한숙소가 맘에들었습니다. 1층엔 카페가있고 숙박하시는분은 약간의 할인도있습니다. 비누와 샴푸는 있지만 개인칫솔과 면도기는 챙기셔야합니다. 와이파이 아주 잘 터지고요 담에 또 갈 예정입니다. 최근에 지어졌는지 매우 깨끗하였고 찾기도 쉬웠다. 직원은 매우 친절하고 주차도 편했다. 차량이 있으면 방문하기 쉽고 올레길과 가까워서 좋다.